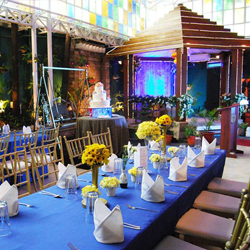 The marrying month of June is upon us, and in Iloilo City, Amigo Terrace Hotel started off the bridal season with Kasalan sa Iloilo (A Dream Wedding) last May 31 and June 1. 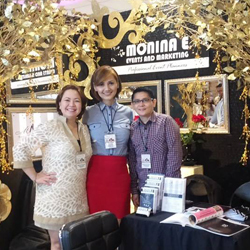 The first bridal fair in the city, Kasalan sa Iloilo featured the premier wedding suppliers of the Visayas most especially Iloilo and Metro Manila. 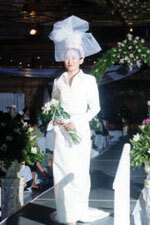 Co-presented by the Philippine Daily Inquirer and Kasal.com, the fair is the First Leg of Kasalang Filipino, the first Philippine National Bridal Fair Road Show across ten key cities. Formally opening the fair with a ceremonial toast were Iloilo City Mayor Jerry Treñas, Ms. Nielette Tupas-Balleza (representing her father, Iloilo Governor Niel Tupas), Amigo Terrace Hotel General Manager Benedict Uygongco, and Mrs. Maria Theresa Sarabia (president of Iloilo Hotels, Restaurant, and Resorts Association), Felipe Uygongco (EVP of La Filipina Uygongco Group of Companies, Philippine Foremost, Capiz Sugar, Amigo Terrace Hotel in the Visayas/Mindanao), with special guest, Fanny Serrano. Immediately following the opening of the fair was a sneak fashion show featuring the collections of noted Ilonggo designers Bo Constantino, Eric de los Santos, Claire Jarantilla and the legendary Mel Varca. The fashion show was immediately followed by talented home-grown Mahya choir to entertain the visitors. 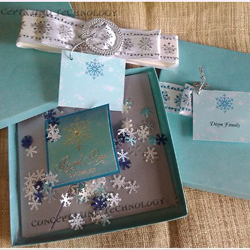 Exquisite displays of wedding gowns, photo albums, souvenirs, invitations, and various wedding-related products likewise awaited the guests. 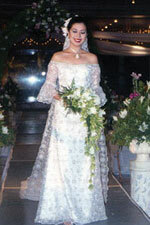 The Belle Terrace served as the exhibit venue of Iloilo’s known personalities’ bridal gowns. Fanny Serrano wielded his brushes and treated the fair-goers to a special demonstration on bridal make-up using his own soon-to-be launched make-up line. 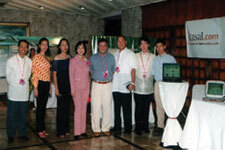 The Grand Ballroom was also the venue of a special taping of Ilongga Ka Day!, a local lifestyle show. Later in the day, the Playback band provided musical entertainment. The second day of the fair featured a gamut of equally exciting activities for the guests. Contemporary designers Sol Fernandez and Don Protasio of Parade showed their modern and inspired creations, including an old barong which was transformed into a blouse and mini-skirt. Instructors of Winners Gym, based in Amigo Terrace Hotel, imparted the importance of being healthy and fit, as one gets caught up in the frenzied wedding preparations. They demonstrated simple exercises and relaxing massages to soothe all wedding-related stress away. Meanwhile, VMV Hypoallergenics sponsored a talk on The Art and Science of Perfect Skin, as it is known that a glowing bride, and groom, starts with perfect skin care. Gift packs of Dove, Lux Super Rich Shampoo, Nivea Body Lotion, Hypertech Corporation, Freya Inc., and VMV HypoAllergenics were given out to lucky raffle participants. Kasalan sa Iloilo is culminated with a Special Dinner and Fashion Show. Designers Bo Constantino, Eric de los Santos, Claire Jarantilla and Mel Varca showed their interpretation of the American, Spanish, French, Japanese and Filipiniana wedding with the special participation of Fanny Serrano. 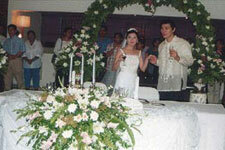 The show was directed by Aldrich Aparicio. 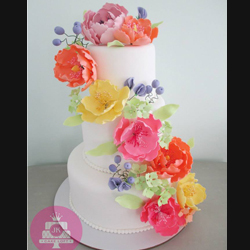 national bridal fair road show. which was transformed into a blouse and mini-skirt. on a lasting bridal make-up. 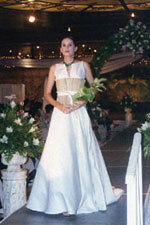 American inspired bridal gown by Bo Constantino. Japanese inspired bridal gown by Claire Jarantilla. showed her Filipiniana bridal gown. booth during the opening of Kasalan sa Iloilo.